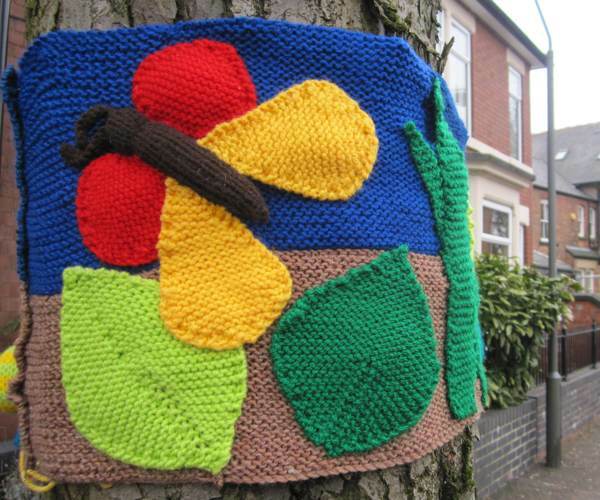 We are helping to organise and promote a new Yarn Bomb in Derby as part of this years Six Streets Art Trail. Six Streets is a community group that exists to increase neighbourlyness and friendship. Information about Six Streets can be found on their website www.sixstreetsderby.org.uk. Last year they had their first Art Trail where local people opened their homes to both local and visiting artists. The trail included painters, potters, jewellers, textile artists, printers, photographers and film makers. There was a history trail, children’s activities and pop up cafes. It was so successful that they are having another this year on the weekend of June 22nd – 23rd. 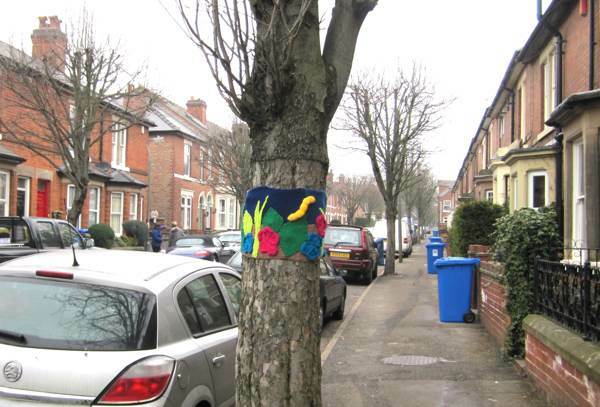 Brand new for this year though is a yarn bomb on the trees of one of Derby’s streets, Wheeldon Avenue. They are asking people to adopt one of the 19 trees and decorate it with a natural theme. 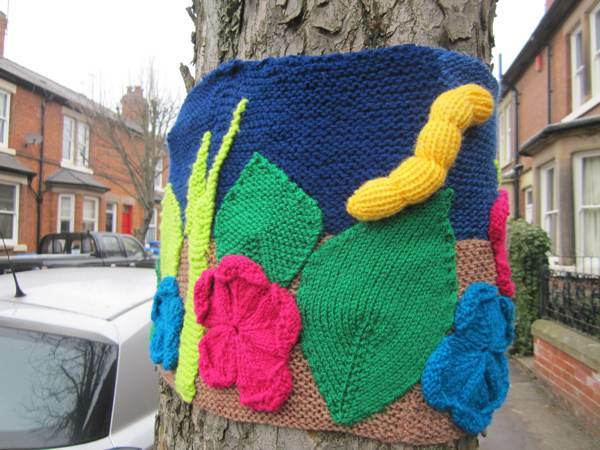 I have knitted some leaves, flowers, caterpillars, butterflies and snails to put around this tree. I will probably try to hang one or two bees from the lower branches. Here are some more pictures. One of the local residents Tina has a map of the trees and their measurements so she can advise on the size of work needed. She can be contacted at tinalhampton@ntlworld.com A tree can be adopted by an individual or a group of knitters, crocheters etc. and your name will be added to your tree. 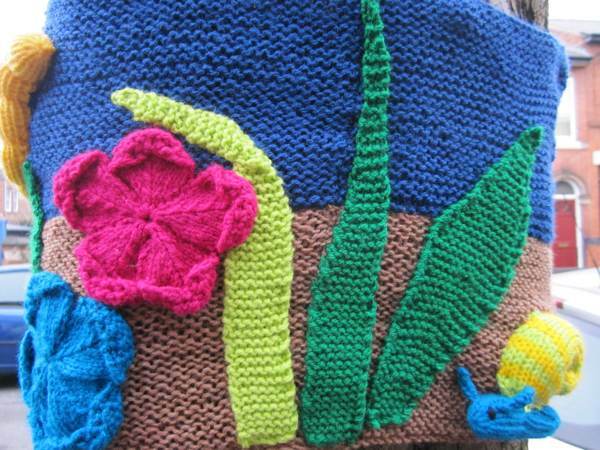 We have some free knitting patterns on the news section of the Angel Eden website but people are free to use any patterns they like as long as it goes with the natural theme.